"How ironic that my son should be killed this way," Mark Orfanos said of his late son. A 27-year-old man who survived last year's deadly Las Vegas massacre was among those killed in Wednesday night’s Borderline Bar & Grill shooting, his family confirmed. It was College Country Night, a weekly event at Borderline, where students from local colleges such as Pepperdine, Cal Lutheran, Moorpark and Cal State Channel Islands were regulars. Telemachus Orfanos loved to go to the popular Western-style bar and go line dancing. He was among more than 100 people inside the venue when a gunman dressed all in black opened fire around 11:15 p.m., killing 12 people and injuring a dozen others. Orfanos, who went by Tel and served in the Navy from 2011-2014, moved back in with his parents after his time in the service. He was working at the Infiniti car dealership in Thousand Oaks. Here are photos of those killed in the Borderline bar shooting. On Oct. 1, 2017, the Navy veteran made it out alive of the Route 91 Harvest music festival where 58 people were killed and hundreds of others were wounded. Tel didn’t make it home from the Wednesday night shooting. His mother made an emotional plea to reporters after learning of her son's death, calling for gun control. "I don't want prayers. I don't want thoughts," Susan Schmidt-Orfanos said, according to The Associated Press. "I want those bastards in Congress — they need to pass gun control so no one else has a child that doesn't come home." Tel's father Mark said the shooter — a former military machine gunner who mental health specialists interviewed earlier this year — "was probably as much of a victim as anybody else." "I’m not gonna vilify this kid because he's got parents that are grieving, too," Mark Orfanos said. "And I feel sorry for them as well. Until I find out particularly what the specifics are with this kid who did the shooting I’m not gonna be vilifying him." 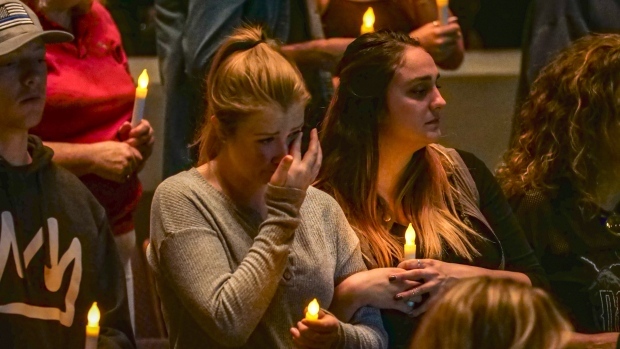 Less than 24 hours after a mass shooting at a bar killed 12 people, the community of Thousand Oaks, California, came together to remember those who lost their lives and offer hope to grieving families. 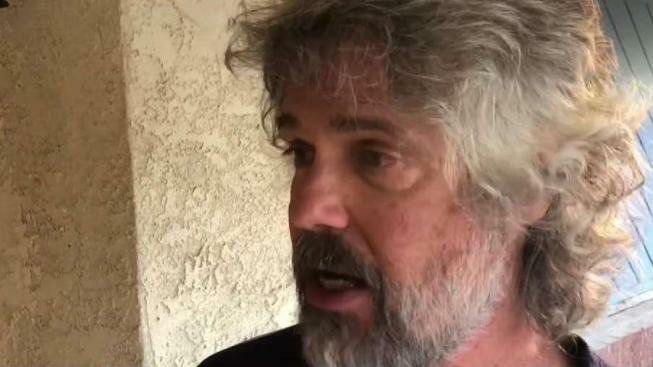 Mark Orfanos said he holds "gun culture" responsible for his son's death. "How ironic that my son should be killed this way," he said.